There has never been a time when the freedoms embodied in the First Amendment did not need to be defended from those who would circumvent those freedoms. We in Tennessee have been in the middle of this struggle for many years, from deciding which way to go when our country was fragmenting in 1861 to being the deciding state to ratify the 19th Amendment giving women the right to vote. 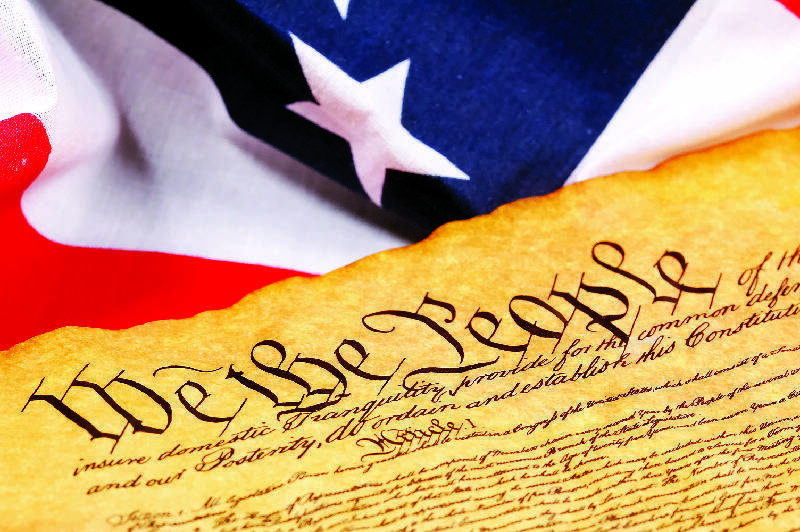 But the First Amendment in particular, ratified in 1791 along with the rest of the Bill of Rights, is the foundation upon which all other rights are based. • We are free to worship in the manner we choose, or - and this is often forgotten - to choose not to worship at all. • We are free to speak our mind without fear of government censorship. Even when that applies to ideas and opinions we find abhorrent. • We have a free press, again immune from government interference. • We have the right to assembly, and Americans freely exercise this right every day. • We can petition our government. These freedoms were not easily won. It took great sacrifice by thousands of Americans over the years, and those sacrifices continue even today. While our First Amendment freedoms continue to be defended abroad by the brave men and women of our armed forces, we need to continue to defend those freedoms here at home. I agree with Thomas Jefferson that the price of freedom is eternal vigilance, but I also agree with his greatest successor, Abraham Lincoln, who said, "America will never be destroyed from the outside. If we falter and lose our freedoms, it will be because we destroyed ourselves." It is no secret that I have been a loyal Democrat all my life and expect to be for the rest of my days, but that does not prevent me from decrying assaults on the First Amendment even by those I support. The revelations earlier this year about the Justice Department subpoenas for records involving the Associated Press, and then the indefensible acquisition of records of Fox News' James Rosen and his parents, disappointed me greatly. And in recent weeks we have seen the disclosures involving data mining by the National Security Agency. Without commenting on the merits of that program, the leaks involving it raise a very important question: Were the leaks an expression of free speech, or did they cross a line into something else? In the 1970s, Daniel Ellsberg leaked the Pentagon Papers to the press after he felt Congress was not acting on the information he had given them. In a landmark Supreme Court case, the government was prohibited from exercising prior restraint on the information, and the American people soon learned the background of our involvement in Vietnam. Some would draw parallels between that instance and the current saga with Edward Snowden. I am not prepared to canonize Snowden at this point, but this latest affair underscores the ongoing dilemma many us confront. Yes, the government has the right to hold some information from public disclosure, but where do we draw the line? Certainly newspapers had the right to publish the material, but did they exercise good judgment? And exactly what part of the Constitution gave Snowden the right to reveal the information? I led a government agency for seven years, and if anything was leaked during that time it wasn't the fault of the reporter who got the information, it was the breach of faith perpetrated by the government employee who released it. However, skirting the First Amendment, as may have happened in the James Rosen and Associated Press cases, is not the way to investigate these matters. Each of us has chosen to use our First Amendment rights as we see fit. For me, after service in Vietnam I chose to pursue a life in public service. The most satisfying time of my career was my tenure as Chairman of the National Transportation Safety Board during the 1990s. Those were turbulent times in transportation. The crash of TWA flight 800 was particularly delicate because many people assumed it had been brought down by a bomb, which we eventually found out was not the case. There were enormous international tensions during the investigation of the crash of an EgyptAir widebody jet, which only got more tense as the truth of that tragedy - that the pilot had deliberately crashed the plane - became clear. And this was two years before 9/11. Which brings me to a major change in how our country treated victims of transportation accidents. For many decades, the airline involved in an accident was responsible for dealing with family members of those who died; the government took a hands off approach. Early in my Chairmanship, a USAir 737 suffered a catastrophic accident near Pittsburgh, killing all 132 people aboard. During our investigation, I was approached by a delegation of family members complaining about the lack of information they were receiving on the investigation and the identification of their loved ones. I directed my agency to establish an on-going liaison with the family members. In 1996, the crashes of ValuJet and TWA 800 brought this problem to the forefront when family members became more organized in expressing their dissatisfaction with the process. The TWA 800 families, in particular, held daily news conferences to air their complaints. Within months federal legislation directed that the NTSB establish a family affairs office and that airlines set up family affairs centers near accident sites. This system has worked very well ever since, and countries around the world are establishing similar systems along the lines that we pioneered. This change in the post-accident paradigm was made possible by family members exercising their First Amendment rights to free speech and free assembly, by their right to petition their government, and by our nation's free press that publicized the issue. The genius of our Founding Fathers is most evident in the freedoms granted to us by our Bill of Rights. And those first 45 words - the First Amendment - have given us what James Madison called the greatest rights of mankind. And it is genius, because that document was written 225 years ago, and it still has applicability in our lives every day, in ways inconceivable in the 18th century. Jim Hall is a former chairman of the National Transportation Safety Board and a leading expert on crisis management.